In order to be able to provide you with the best treatment possible, it is important to gather as much information as we possibly can in terms of not only your dental history but your medical history as well. We therefore advise all new patients to have a Complete Oral Examination performed at their initial appointment. Just as you would not build a home without first surveying the land and having blueprints drawn up, it would not be advisable to have treatment done no matter how seemingly innocuous without first gathering the necessary information in order to be able to provide a more complete diagnosis on which to formulate a treatment plan. For example, to many, the hygiene or scaling appointment is seen as ‘just a cleaning’ and can be performed without much consequence. The truth is that without a proper gum examination and x-rays, the hygienist would be blindly providing gum therapy without the benefit of knowing beforehand the health of the gums and the supporting tissues such as the bone. Of course it has now been many years that we have known about the connection between the health of your gums and its impact on your overall health. Digital Photographs are taken, oral cancer and sleep apnea screenings are performed and of course concerns or questions that you may have are discussed. We will work WITH you to create a treatment plan that will not only address your needs but your wants as well. 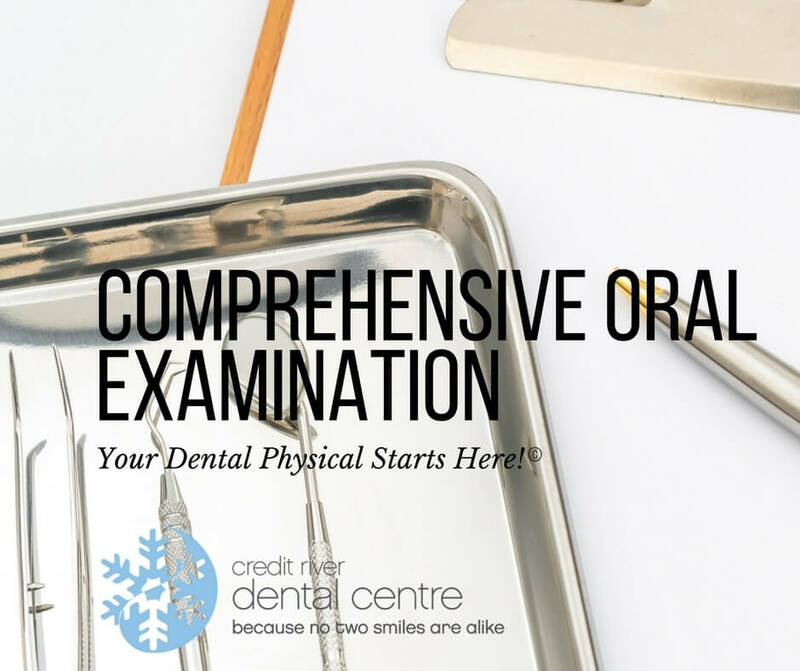 Call us today at Credit River Dental Centre to schedule your appointment!